Enter a world of color, culture, and cherished spiritual tradition of India. Your guided tour of India and Ganges River cruise begins in the bustling city of Delhi. You'll tour the city with your expert local guide, and take a rickshaw ride through the Chandni Chowk bazaar-brimming with everything from silver and spices to saris of every color. You'll visit Qutub Minar-the world's largest brick minaret, and see Delhi's largest Sikh gurudwara (house of worship), before traveling to Agra-site of the legendary Taj Mahal. 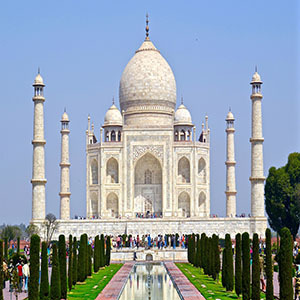 Book a select 2019 departure of Colorful India & the Ganges river on Avalon Waterways (WDK, WDKQ, WDKE, WDKY) by April 30, 2019, to receive $1,000 off per person on the cruise/land price.